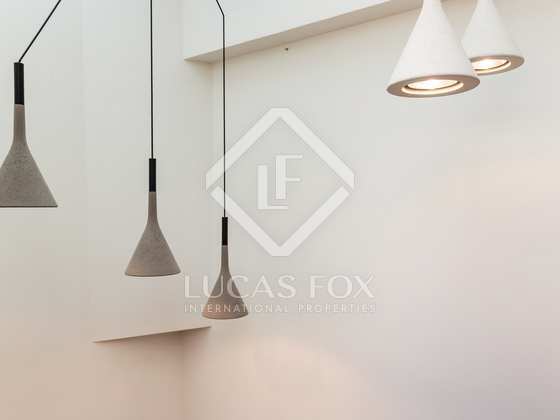 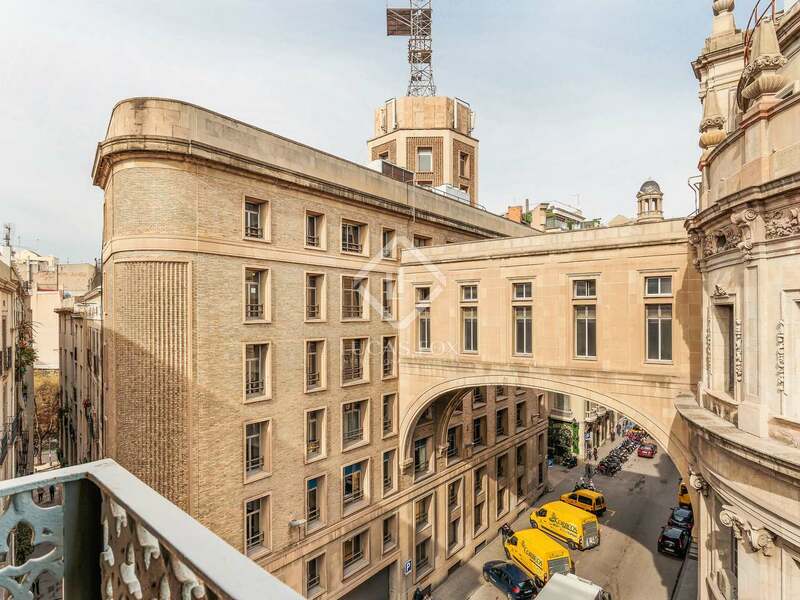 We find this magnificent penthouse apartment in a restored historic building dating back to 1850 with a lift, at the heart of the Gothic Quarter of Barcelona's Old Town. 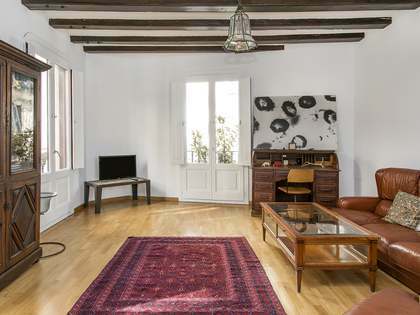 This is one of the oldest and most attractive neigbourhoods of Barcelona, very near Via Laietana and Passeig Colom. 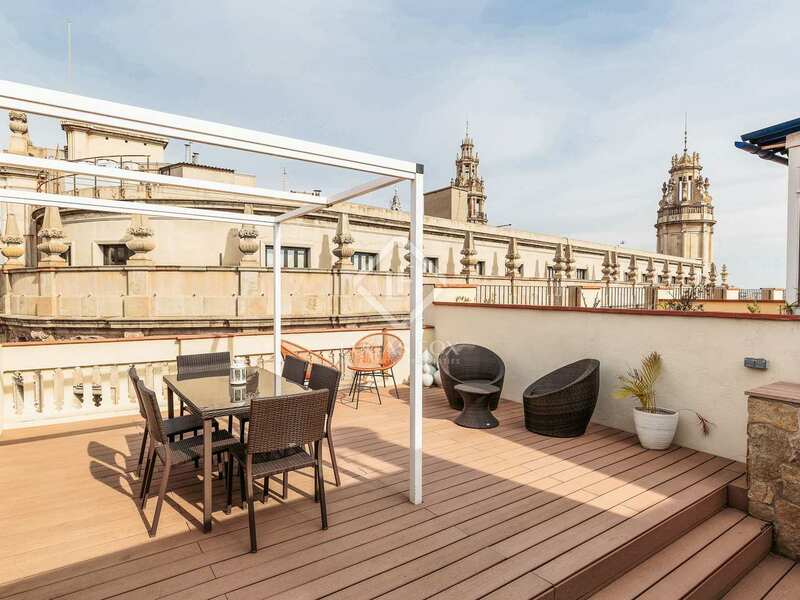 The penthouse itself has recently been renovated and offers approximately 93 m² of living space plus a spectacular 41 m² decked terrace which is accessed via an interior staircase. 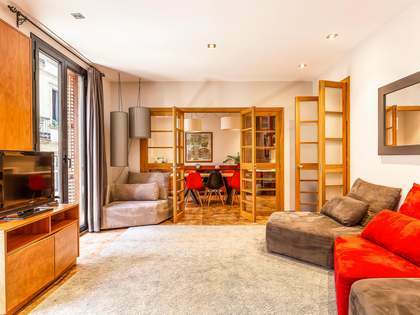 The living area consists of a spacious living room – dining room with a modern open plan kitchen that is completely equipped with high end appliances. 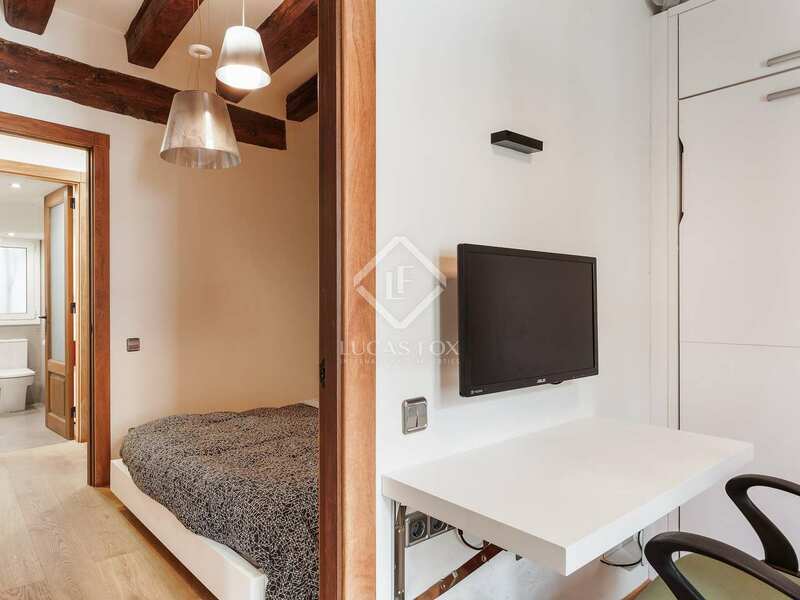 The night area offers 3 bedrooms, one of which has a bathroom integrated into the bedroom and fitted wardrobes. 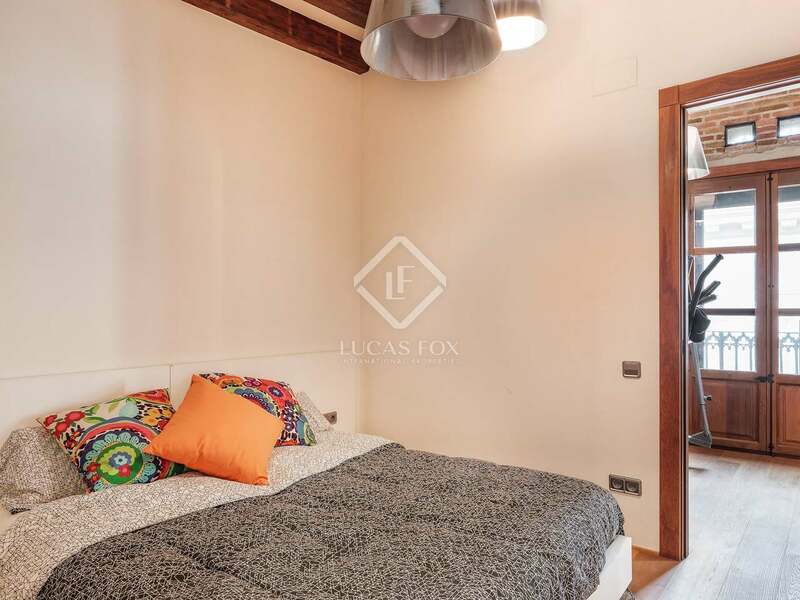 The second bedroom is also a double and the third bedroom is currently used as a study/gym and a guest sleeping area with a practical foldable bed. 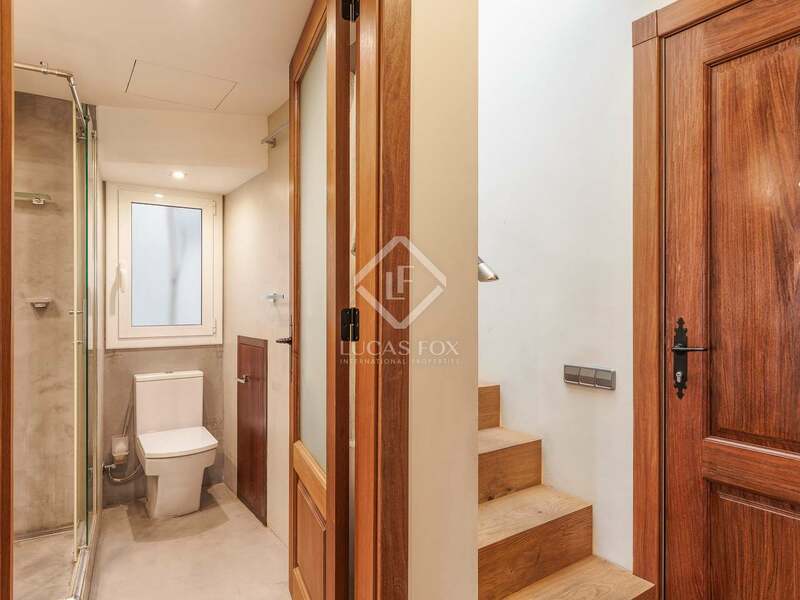 The property has a second complete bathroom. 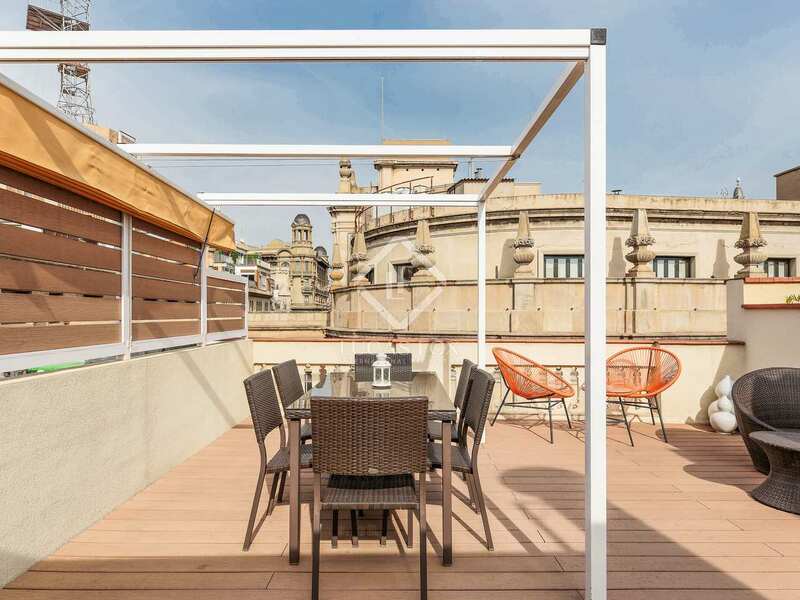 An interior staircase takes us up to the wonderful private terrace which enjoys plenty of sunlight and comes equipped with a barbecue; ideal for social gatherings with privileged views of the beautiful historic buildings of Barcelona's Old Town. 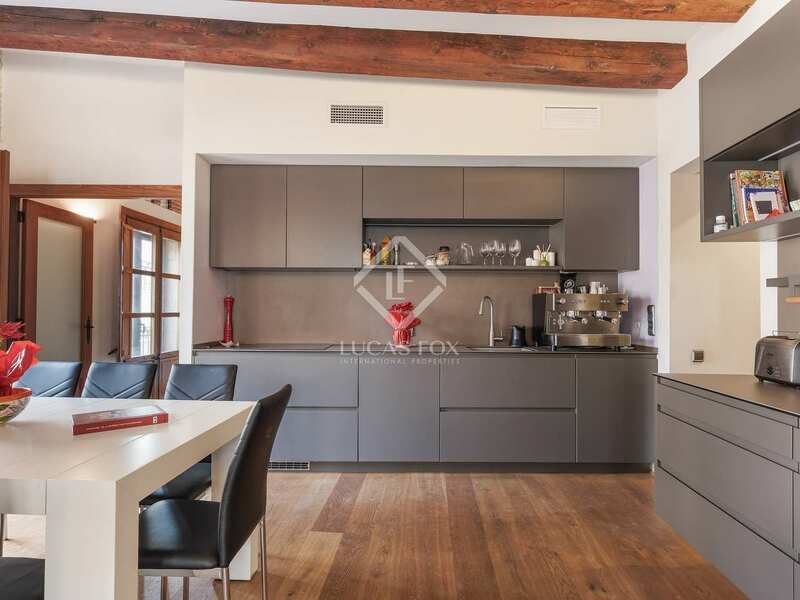 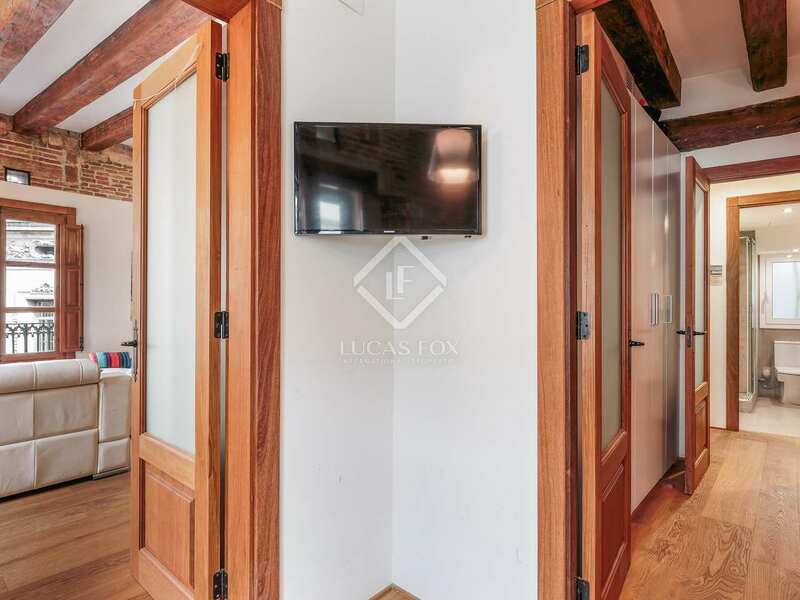 Fully furnished and equipped, this penthouse property has double glazed windows and quality oak flooring as well as high ceilings and attractive wooden beams. 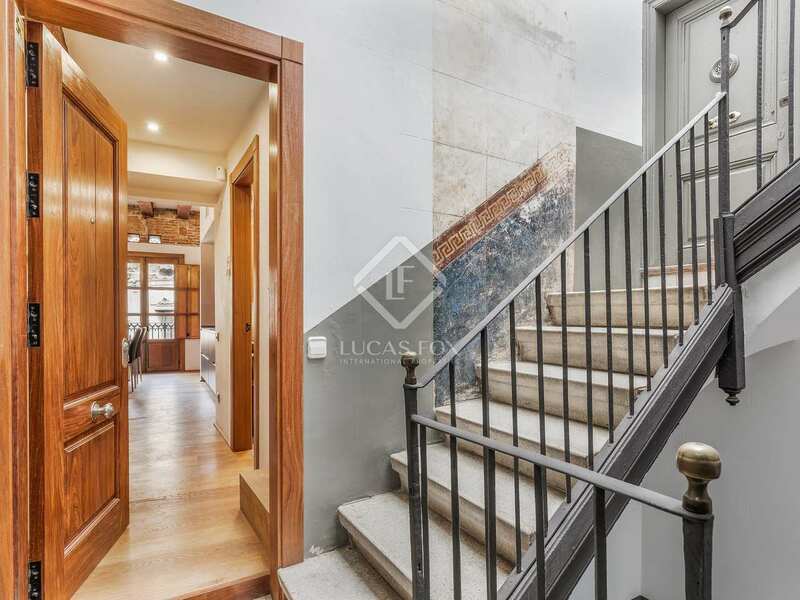 A unique opportunity in the ever-charming Gothic Quarter. 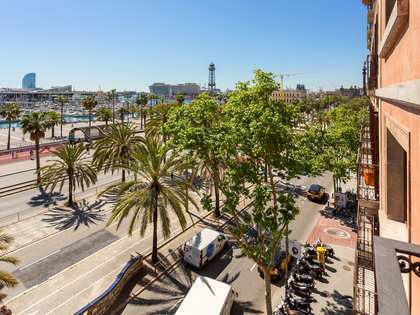 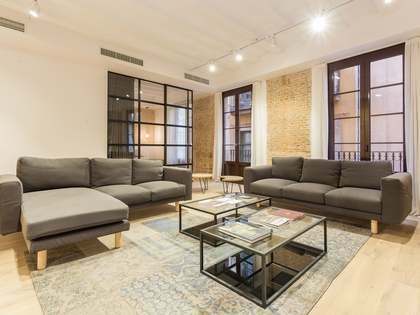 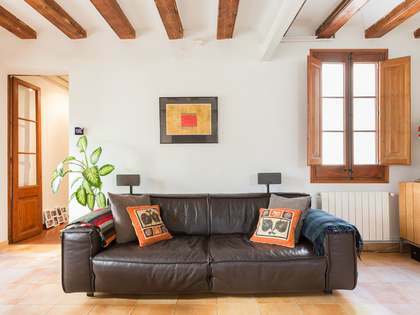 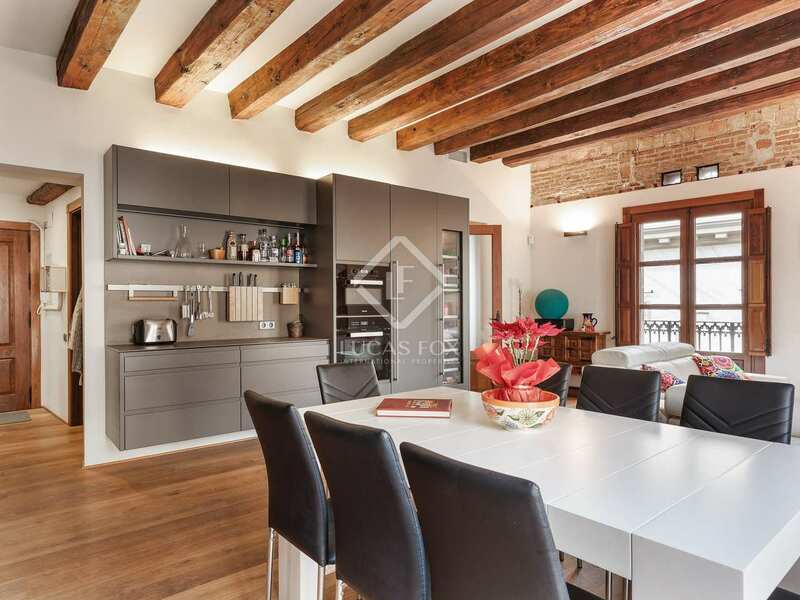 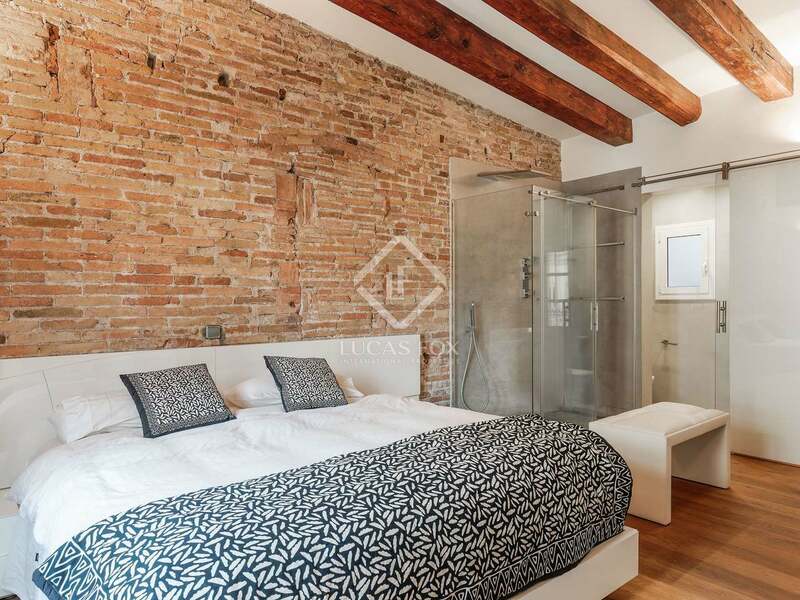 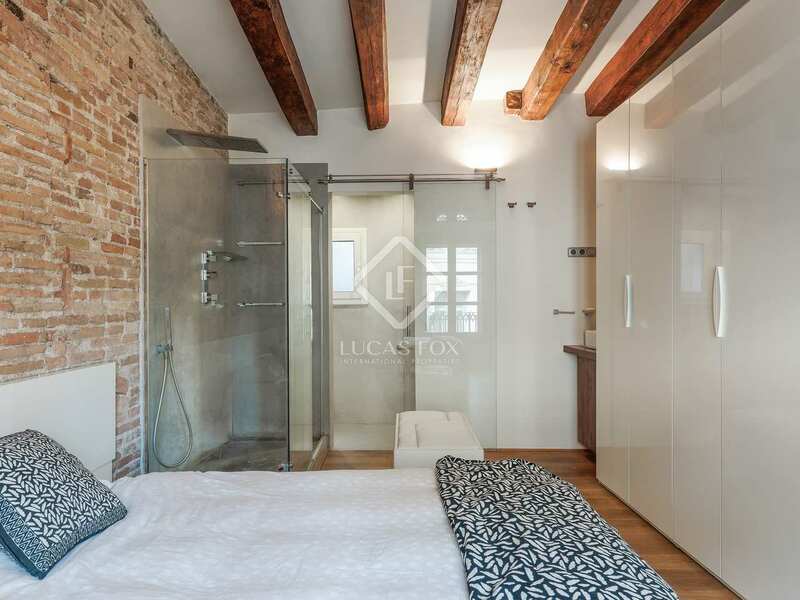 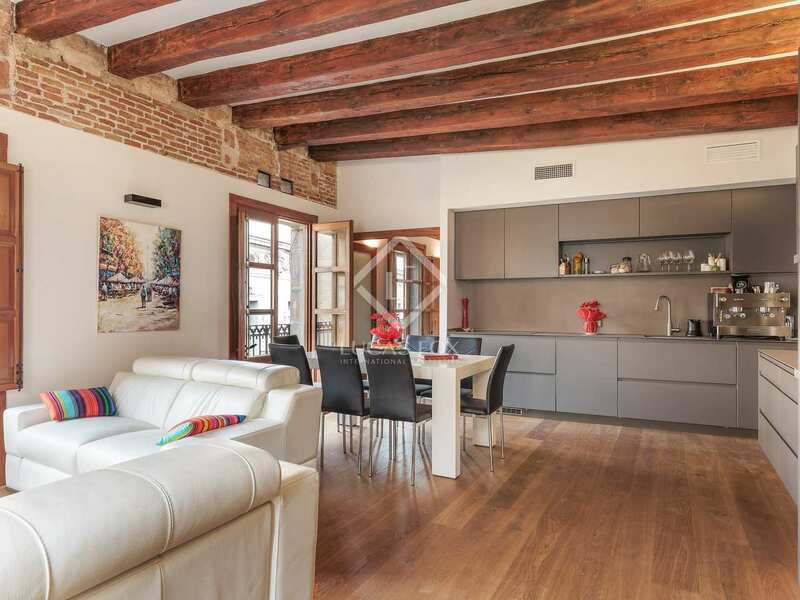 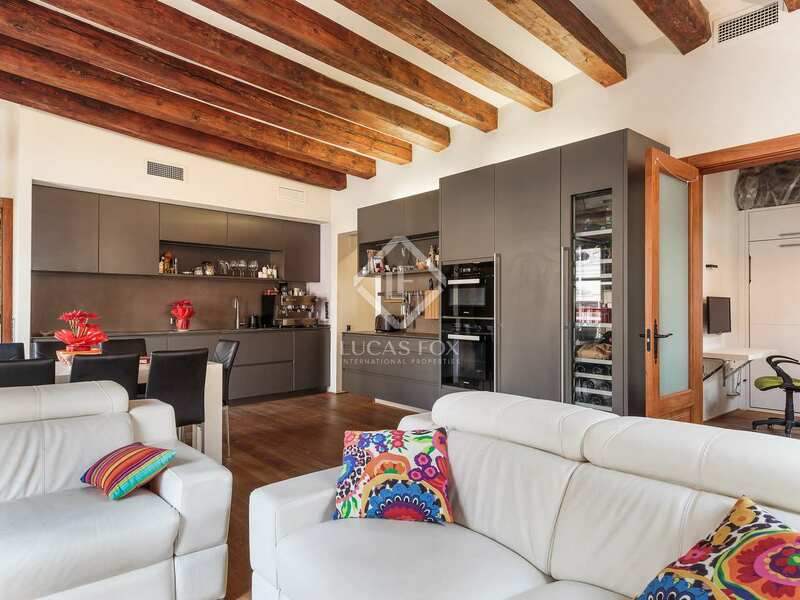 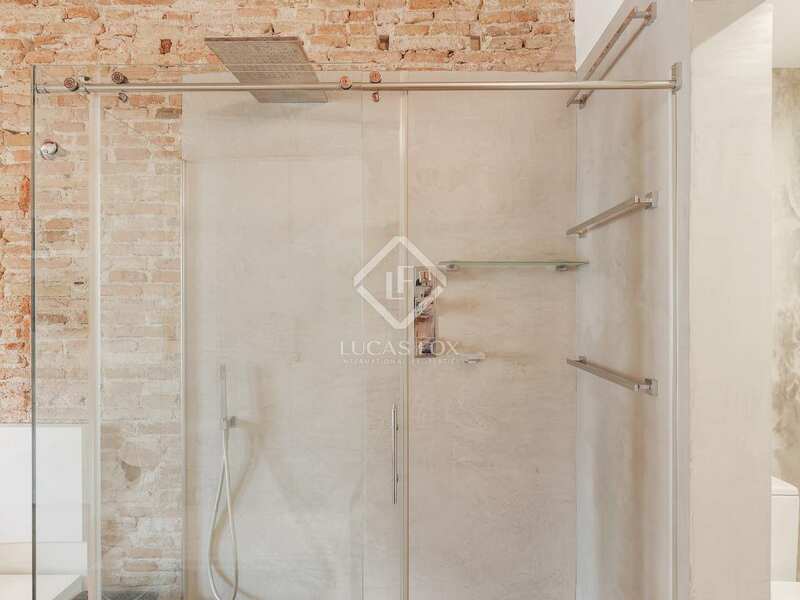 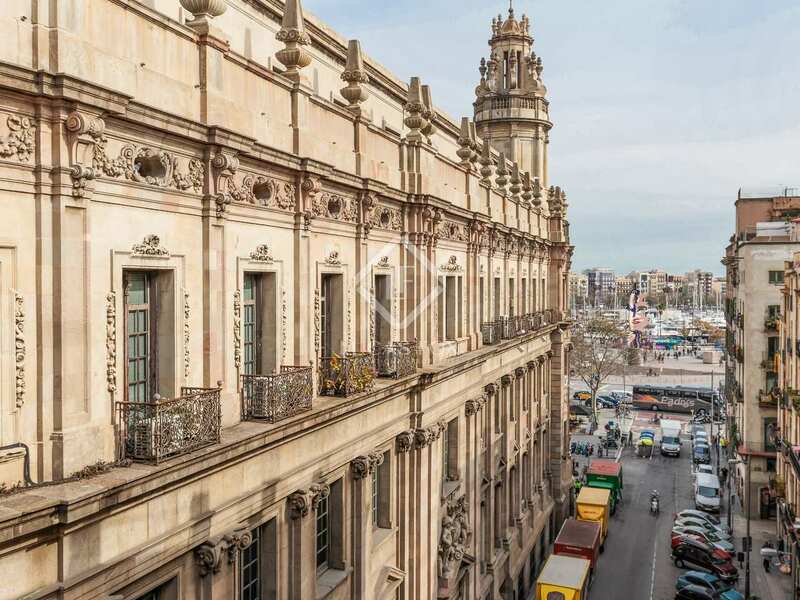 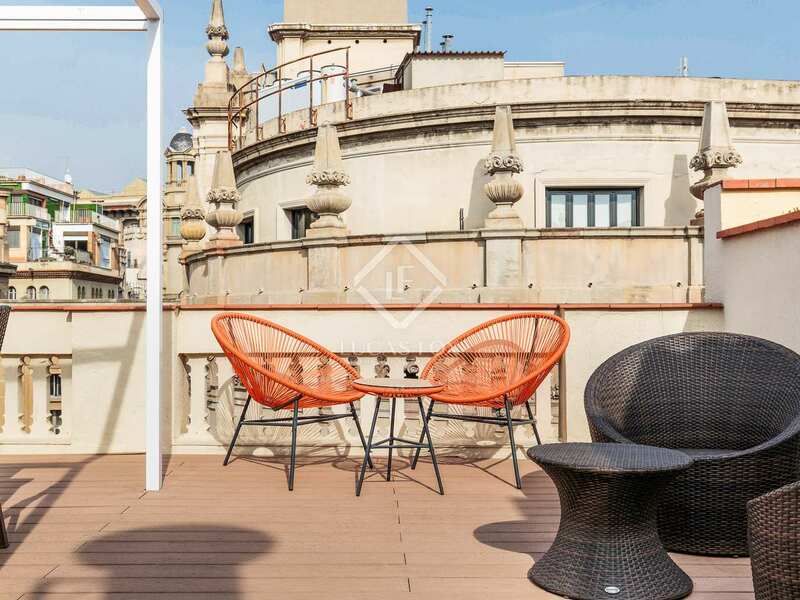 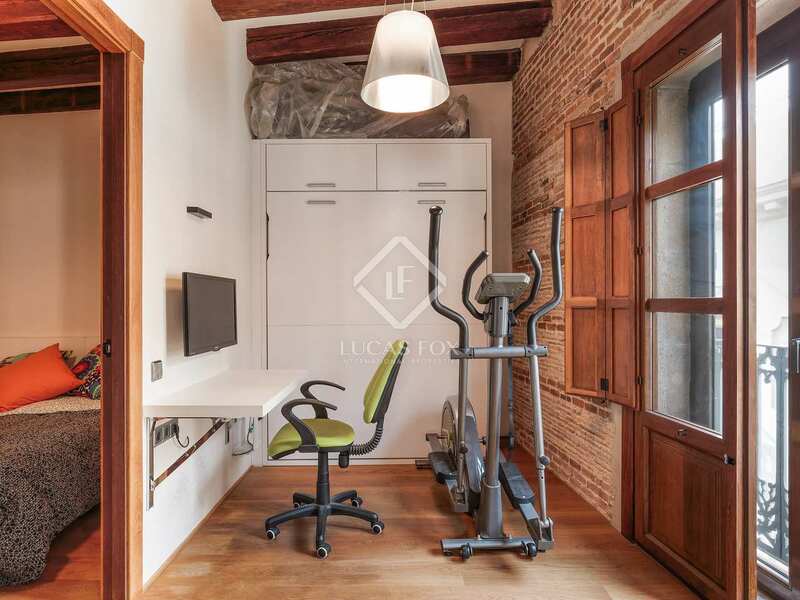 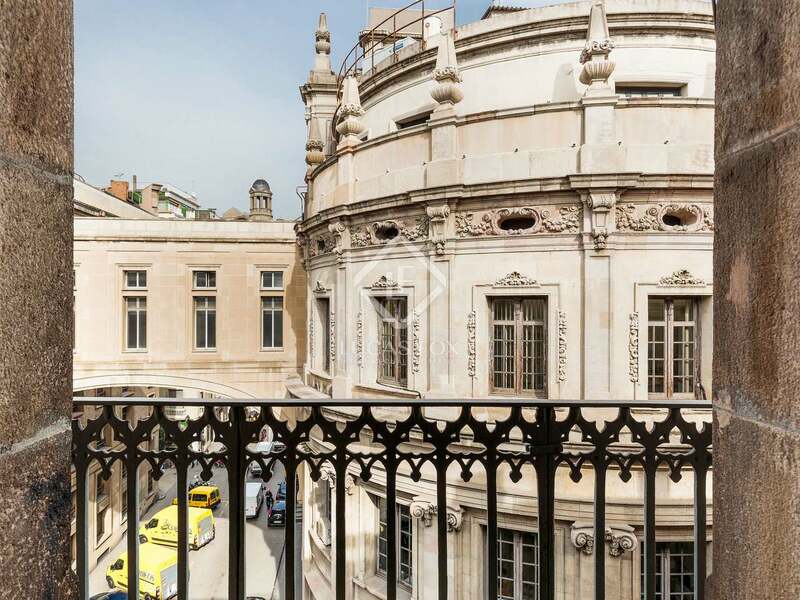 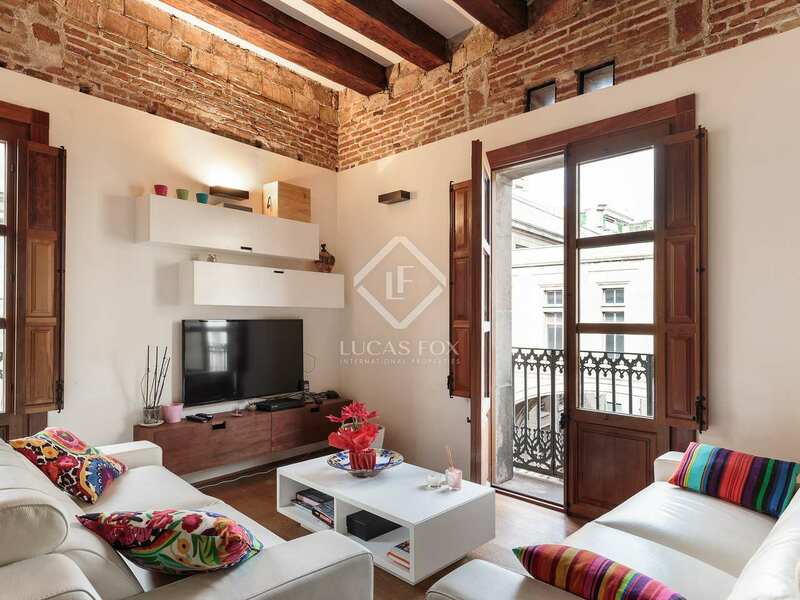 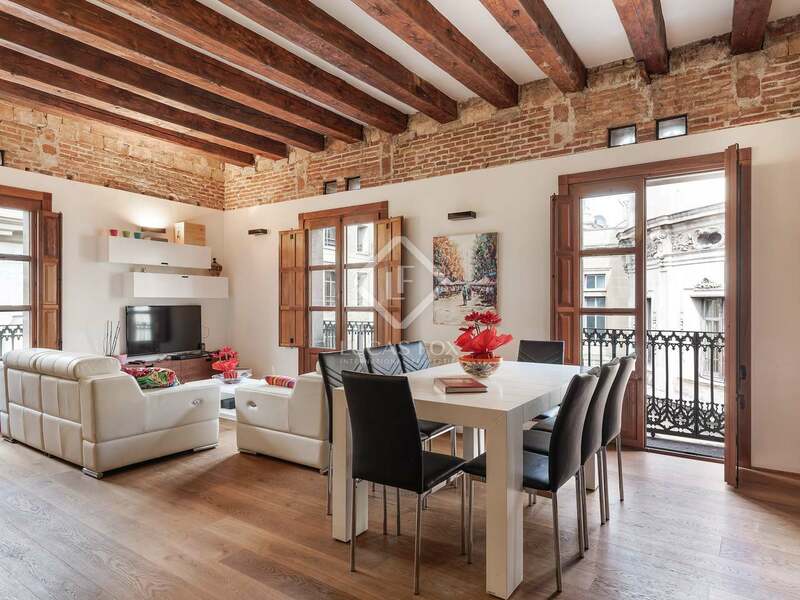 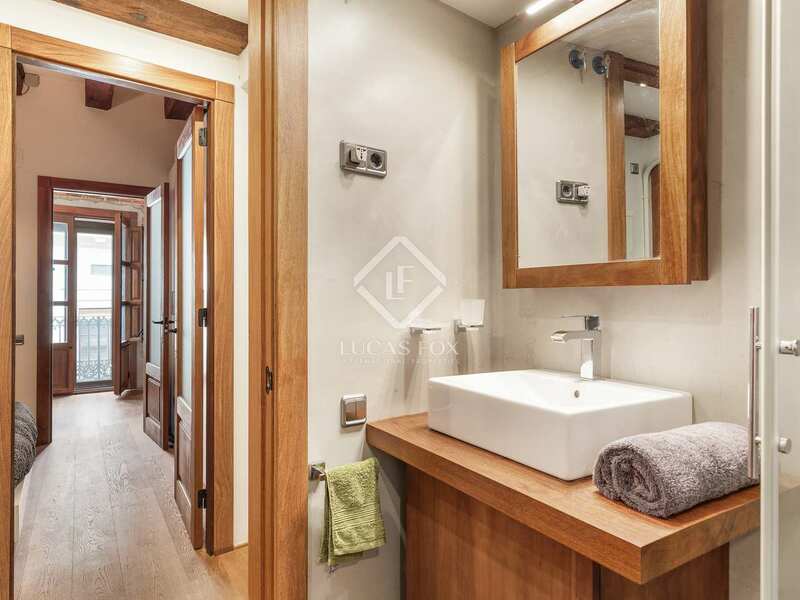 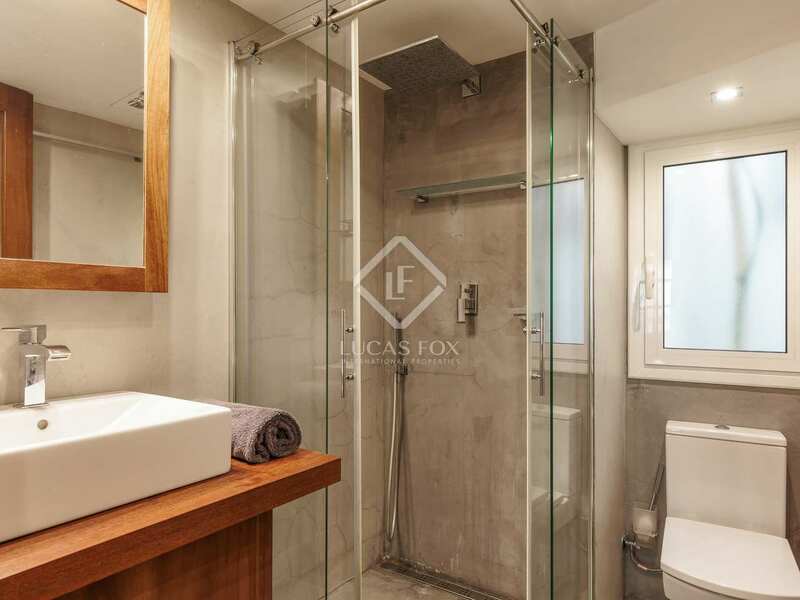 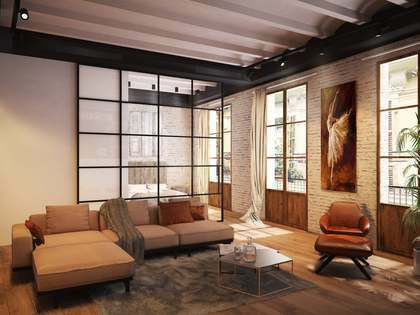 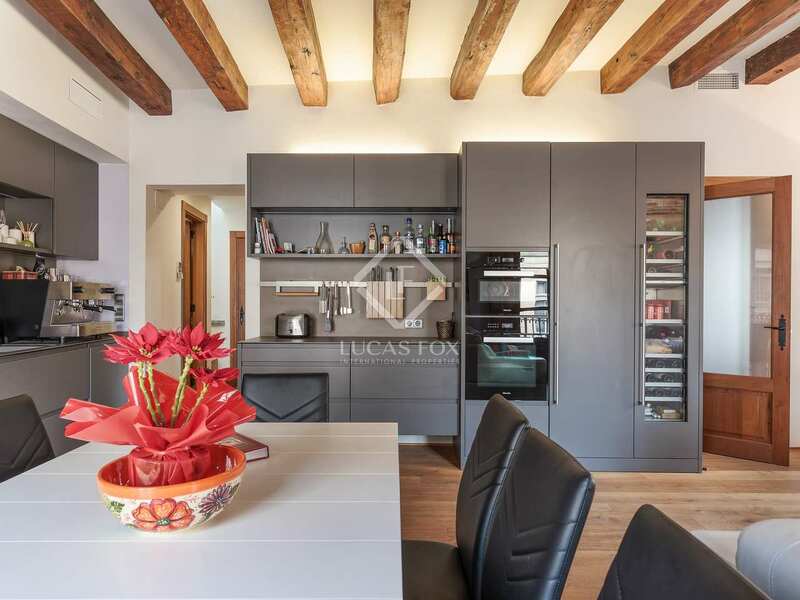 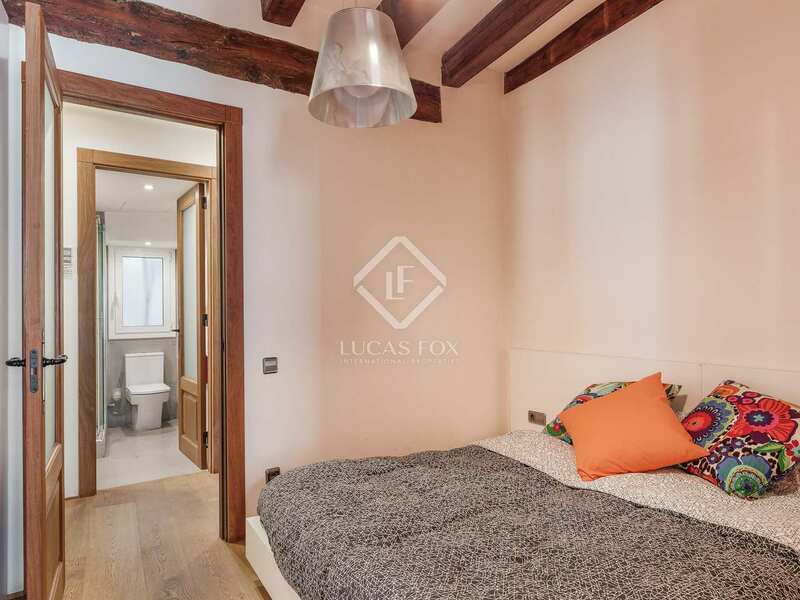 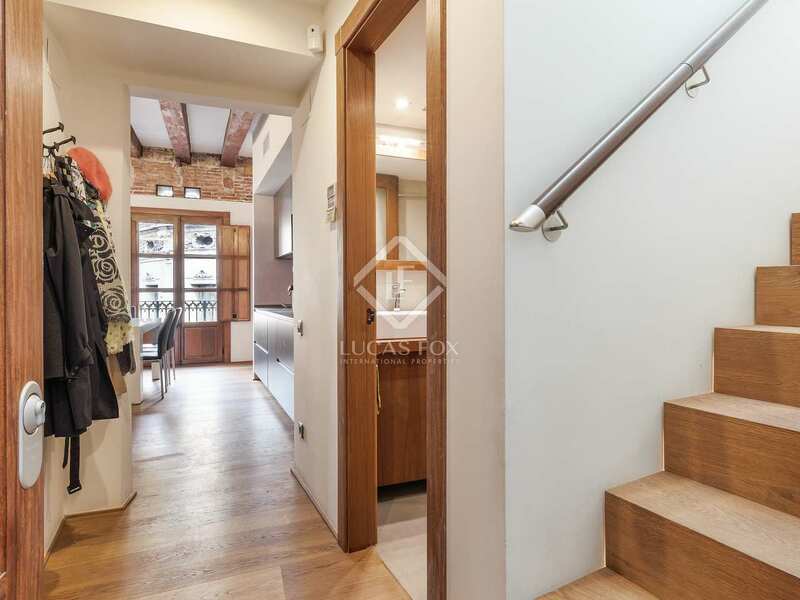 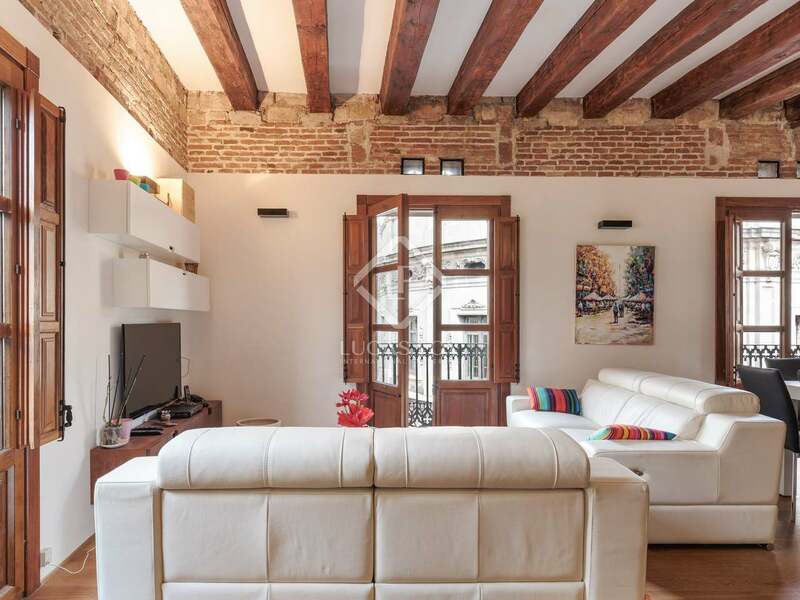 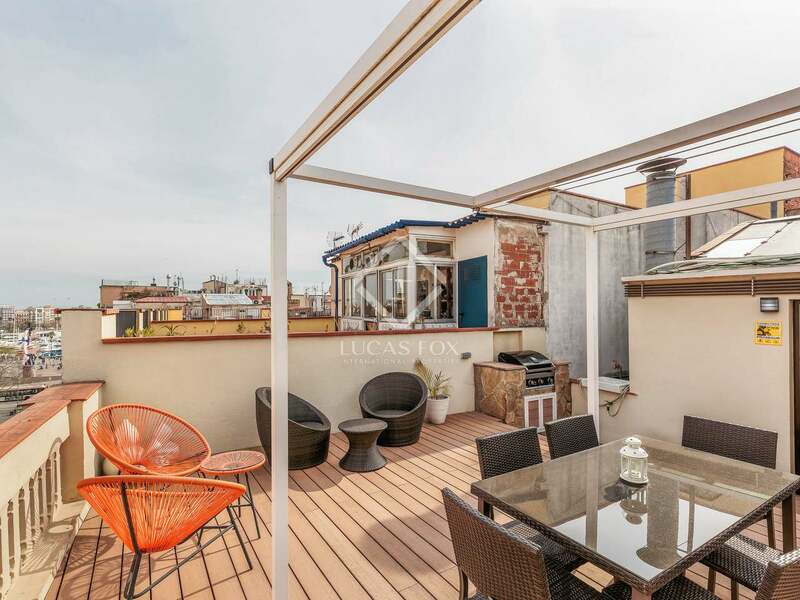 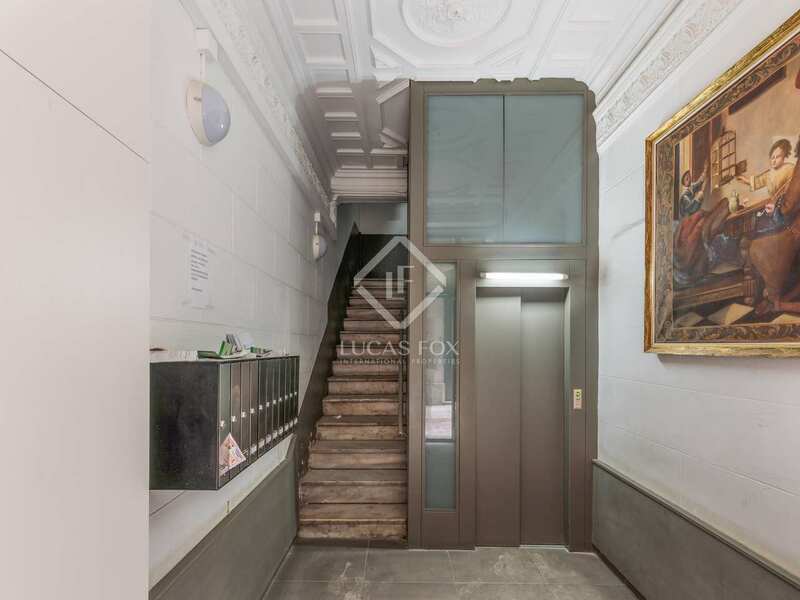 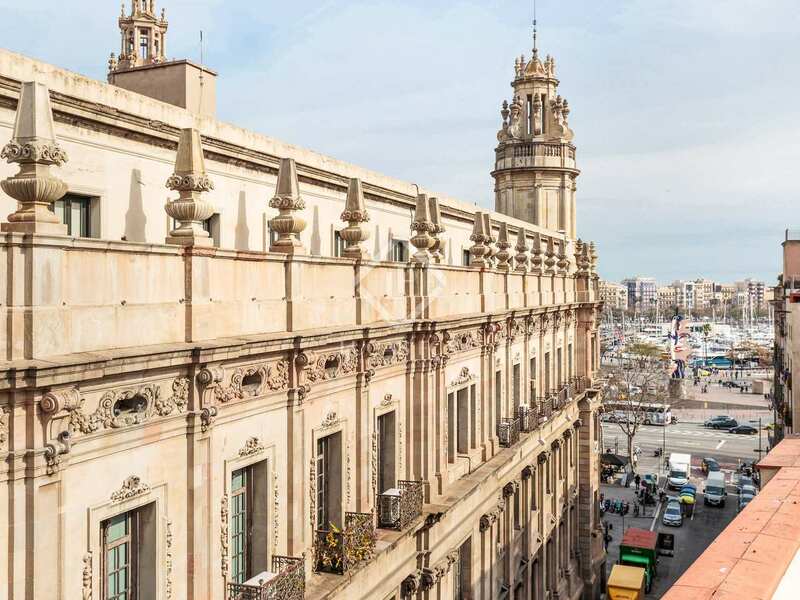 Property in a stately building at the heart of the Gothic Quarter of Barcelona's Old Town. 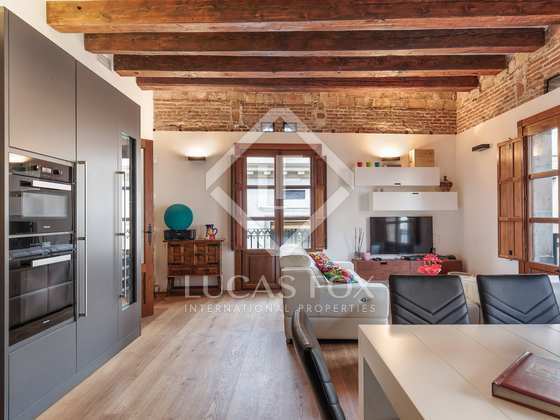 This is one of the oldest and most attractive neigbourhoods of Barcelona, very near Via Laietana and Passeig Colom.